Students - This poem is for anyone who needs it. I was not sure whether to write about the bowl of gorgeous tomatoes on our table or about all of the people I know who are somehow suffering right now, suffering with different sadnesses. I needed to write about the second thing, about how helpful it can be to find other people who have been through what we are going through, no matter what our struggles may be. Whenever I need help with a hard time, I always turn to family and poems, friends and books. I try to be a helpful friend, too, and sometimes I am...and sometimes, without meaning to, I say the wrong things. When that happens, I can only try again. That is all any one of us can do, our very best, every day, knowing the path is sometimes steep but that kind others have gone before. Sometimes, even if you are not going through a tough time yourself, you feel what others are feeling. You, too, can write about those feelings. It helps. Language-wise, you will notice that this poem has some rhymes and some repetition too. What do you notice about the rhyme? What do you notice about the repetition? Now...let's celebrate! It is Poetry Friday, and once every few months, I am allowed to host the guests. All through today, I will update this space with news from the Kidlitosphere: original poems and ideas, classroom stories and new books, favorite poems and found treasures. All are invited to leave links to poetry posts in the comments, and I will add them below . If you have not visited my other blog, Sharing Our Notebooks, lately, I have the present pleasure of hosting poet and novelist, Irene Latham and her notebooks. There's even a giveaway of Irene's beautiful book, DEAR WANDERING WILDEBEEST. Welcome, welcome, welcome! And enjoy, enjoy, enjoy! I am grateful that you are my Someones. Over at Radio, Rhythm and Rhyme, Matt Forrest shares news about a new adult anthology of which he's a part. At TeacherDance, Linda celebrates the Cybils' judge announcements along with a memory of a small lovely moment of summer. Douglas offers an original poem about gravity, taken from the newly published GUYS READ: TRUE STORIES, edited by Jon Scieszka. Find this poem at the Florian Cafe. It's Homecoming season and Laura's daughter's going to her first high school dance. Should she wear a dress or push the envelope and go in a tux? 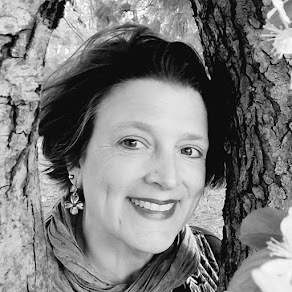 At Author Amok, Laura's post about HS dances and challenging norms features Sue Ellen Thompson's poem "The Paper Dress." Bridget at wee words for wee ones has an original poem, "Real Estate on the Web," about the importance of truth in advertising when selling a "home." At Susan Taylor Brown, Susan is in with an original poem, "Celebrate With Me," which is modeled on a Lucile Clifton poem and has become her personal anthem. Inspired by Renee's poem at No Water River last week, Laura does something she rarely does: shares a poem written for a family member. You can read her poem for Maddie at Writing the World for Kids. Heidi also shares a poem for a family member, a poem about her son and sleep, over at My Juicy Little Universe. Tabatha brings us an uplifting butterfly theme today at The Opposite of Indifference. At Michelle's Today's Little Ditty, Liana Mahoney is visiting Limerick Alley with a toad and some great news. Margaret's post at Reflections on the Teche is an invitation to Carol's Summer Serenity Gallery and an offering of her original poem, "Deception Pass." Mary Lee offers us "Autumn" by Linda Pastan over at A Year of Reading. 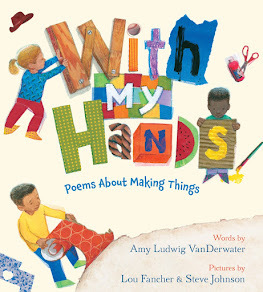 At Keri Recommends, Keri is in with Joyce Sutphen's "First Words" and with some words for our poetry community too. Jama joins in with a little birthday party for Cornelius Bear over at Alphabet Soup. Enjoy the poems and cookies, and bring Cornelius some warm wishes. At The Logonauts, Katie teaches poetry and geography with her favorite J. Patrick Lewis poem about latitude and longitude. At Reading, Teaching, Learning, Holly also celebrates Carol's Summer Serenity Gallery and shares her original poem, "City of a Hundred Spires." 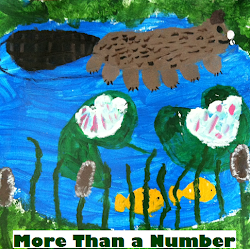 Over at Random Noodling, Diane offers "Almost," the last of her Sketchbook Project poems. At Kurious Kitty, for Talk Like a Pirate Day, she shares "The Parrot" by James Merrill. Carol's post, at Beyond LiteracyLink, revolves around these last bits of summer serenity with a photograph taken by her daughter and a poem by Helen Hunt Jackson. After a long break, Liz is happy to be back at the Poetry Friday table with a poem about tomatoes. Find it at Elizabeth Steinglass. At Penny Parker Klostermann, Penny shares Episode 2 of A GREAT Nephew & a GREAT Aunt at my blog today. Violet offers her found poem titled "Paul Simon Reunion" at Violet Nesdoly/poems. Karen is having breakfast with Billy Collins today at Karen Edmisten. Over at Dori Reads, Doraine shares one of her favorite Lucille Clifton poems, "blessing the boats." At Hope is the Word, Amy shares Longfellow's "A Psalm of Life" along with some thoughts about her family's discussion and study. At Musings, Joyce shares a visit with poet, storyteller, and national treasure, Ashley Bryan. JoAnn begins a new series of posts about creativity with a sympathetic note to herself and anyone else who might need it. 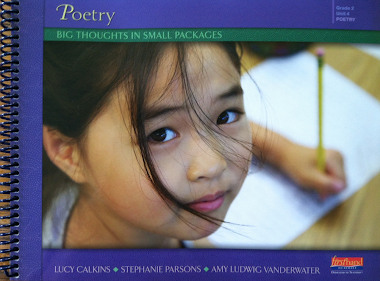 Today's post at Teaching Authors includes a wonderful Ted Kooser poem about creativity. Anastasia offers VOICES FROM THE MARCH ON WASHINGTON by J. Patrick Lewis and George Ella Lyon over at Booktalking. At Buildingsroman, Little Willow shares Lucy Frank's poem, "Two Girls Staring at the Ceiling." Tanita shares Christine De Luca's "The Morning After" at [fiction, instead of lies]. 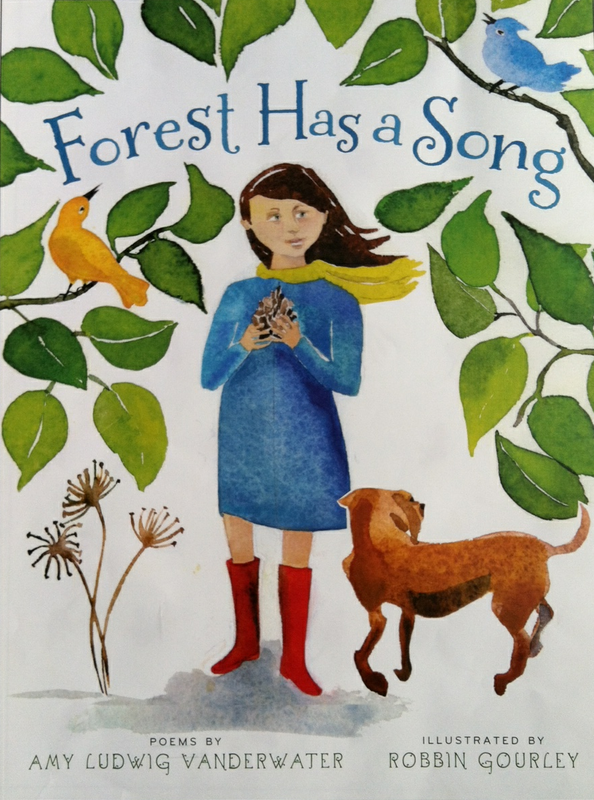 At Poetry for Kids Joy, Joy is counting acorns with an original poem you might wish to act out. Ramona offers Julia Kasdorf's "What I Learned from My Mother" at Pleasures from the Page. Ruth, at There is no such thing as a God-forsaken town, is in with "The Yellow Dress," by Amy Beeder. At Check It Out, Jone announces the Cybils Poetry Panelists and Judges and also points us toward Carol's Summer Serenity Gallery. Tricia offers two James Stevenson poems over at The Miss Rumphius Effect. 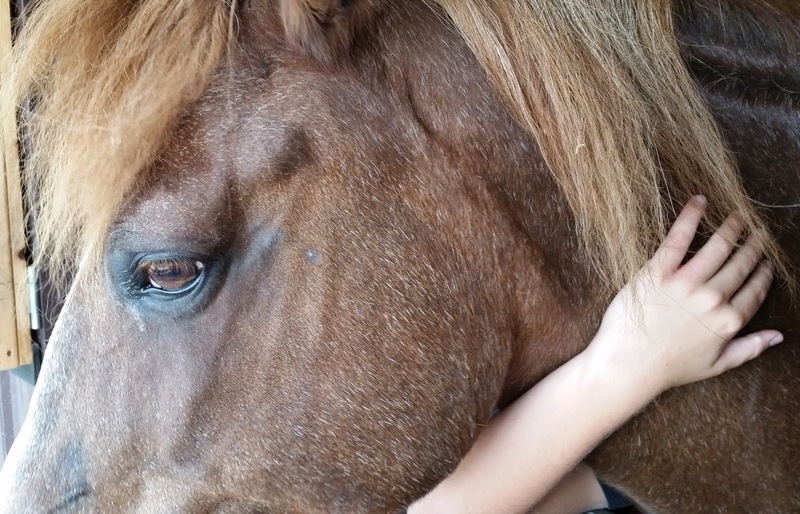 Crystal is trying to slow down, and in doing so, she shares an original poem titled "A Lesson From My Dog" at Reading Through Life. At Gathering Books, Fats is in with Walt Whitman and "When I Heard the Learn'd Astronomer." Good morning, Amy! Your poem is a great reminder that none of us is alone in the things we are struggling through. It's Homecoming season and my daughter's going to her first high school dance. Should she wear a dress or push the envelope and go in a tux? My post about HS dances and challenging norms features Sue Ellen Thompson's poem "The Paper Dress." Oh Amy, you say in such an easy for all to understand way what so many of us need to hear. Thank you so much for sharing it with the world. I am in with an original poem, Celebrate With Me which is modeled on a Lucile Clifton poem and has become my personal anthem. Hello, dear Amy! I am not participating today, but wanted to thank you for this lovely and tender poem that you have given to all of us. I hope we can all be someone's Someone in return. Oh my. That is so lovely, Amy. I have been both the person looking for the person further along the path and that further-along person in different situations, and it is a healing relationship--from both sides. Thanks for sharing this poem! Hi Amy, this poem is helpful not only to the grievers, but for those who don't know what to do or say around grievers. Your poem hits just the right tone. Amy, I feel the poem you wrote is for Emily. I will share it with her when I see her today at the funeral home. I also have a bag from Healing House to give her. I hope these small gestures will help her through this tough time. I ordered the books you recommended and gave you a little thanks on my blog. Emily is an artist in the fine art talent program so I think Emily's Blue Period will resonate with her. Thanks again. No matter what, thank you for its beautiful simplicity. I will take it with me to the CFR retreat and share it with the 14 breast cancer survivors there who are on an uphill path. I'll try to read it without crying. I have a poem by Linda Pastan about autumn. Thanks for hosting and for sharing this earnest message. I'm in with Joyce Sutphen's First Words at http://wp.me/p4P49X-9a. Thank you for the lovely heartfelt poem. It reminds me that sometimes those who are grieving can offer the most comfort to the people around them, but most important is the reminder that we are not alone in our sadness. Thanks so much for hosting. Big Hugs to you! Thank you for sharing, and I love that you let us "inside" a little of your composition process. Poems are powerful for helping us with emotions! Thank you, Amy. Your poem was needed this week. Amy, today your poem brought a sensitivity that I will be able to share with those in need. I thought of Margaret's Emily and how your simple words might support her at this time knowing that there are someones farther along the uphill path that continue to climb. I then thought of another family who is grieving over the loss of their son. Sorrow is such a heavy burden. Today I am revisiting the excitement and joy I felt all week as I read and reread poems from the Summer Serenity Gallery I launched. I am touched that Margaret and Holly mentioned the gallery in their comments and that there offering leads others there. My post revolves around summer serenity and the last bit of it that can be savored in the month of September. I added a glorious picture of Aspen that my daughter took while vacationing there and a poem by Helen Hunt Jackson since I am fond of 19th Century poetry. May your last days of summer be glorious. Your words are touching and true. Words are such a gift in times of sorrow. I have Episode 2 of A GREAT Nephew & a GREAT Aunt at my blog today. Thanks for hosting, Amy, and what a comforting poem! Amy, your poem is so lovely. In the midst of sufferings large or small, I, too, turn to family, poems, friends, and books. Perfect. Thank you. I'm in this week with Billy Collins. Having breakfast with him, in fact. :) The link is here. A lovely poem, Amy. Thank you for sharing. Today I have a Lucille Clifton poem, blessing the boats, on my blog. It's one I especially love. I love your poem! Thank you! Amy, your poem captures so well the solitary feeling of sadness. The repetition of "Someone" in the last stanza drives home the idea that we don't have to be alone in sorrow, that Someone can be there for us. Thank you for sharing and for hosting. over at Musings, I share a visit with poet and storyteller Ashley Bryan -Someone who is a national treasure. "Someone has set/soft sorrows free." Such a beautiful poem gift for today, Amy - thanks for sharing. Your poem struck a chord with me, too, Amy--so many people around us are struggling right now. On the Teaching Authors blog, I started a new series of posts about creativity with a sympathetic note to myself and anyone else who might need to hear it. I've also included a wonderful poem about creativity by Ted Kooser. I posted a passage from Two Girls Staring at the Ceiling by Lucy Frank at my blog, Bildungsroman. Thanks for hosting. I've posted The Morning After, by Christine De Luca at my blog. Thanks for hosting today. I enjoyed your poem. I'm counting acorns today with an original poem. It might be fun to try acting out the poem. Amy, thanks for your poem. It triggered this connection to a poem I love, "What I Learned From My Mother." Hello Friend! Thanks for having us at the Farm this lovely day. Today I'm sharing two poems by James Stevenson. Beautiful words of comfort, Amy! Thank you for sharing and for hosting Poetry Friday. I am uber late but I suppose that's what happens when you work two jobs. Anyway, I was up for posting last Friday at GatheringBooks and I have Walt Whitman and the sky for my poetry offering. It's called "When I Heard the Learn'd Astronomer. Hope you had a great weekend! I am subbing today. One of the 5th grade boys came in after learning his dog had been hit by a car early this morning. So I was so glad I just found your poem.I gave it to a teaher who is friends with the family to share with him after school. I think it is a great thing for teachers to have on hand and such tender wisdom. I have been "away" and missing so much on Poetry Friday. Glad to be able to connect. I read a poem of yours that is in a children's magazine (you posted on FB) and I loved it. You have such a gift for finding the "right word" for the "right place". Can't wait to see your new books. I think it is a nice goal for kids to think that some day they can be "Someone" for another in need.